KGL Racing is the only online motor shop to offer all major quality brands under one roof. 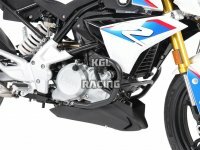 Anyone looking for motorcycle exhaust systems, GPS systems, silencers for scooters, motorbikes or quads, various motorbike parts, waterproof and resistant luggage systems cool accessories or racing items such as tire warmers, traction control, or even carbon wheels has found the place to be! And the price will certainly not scare you away! We are eager to help our clients with qualitative products and brands at very keen prices. Our online motor shop will also regularly feature special actions, clearance sales, massive reductions and so on. Be sure to keep an eye on our special deals page. We also offer good buys at -30%, -40% and even -50%. Moreover, we have a majority of our products in stock, ready for delivery. 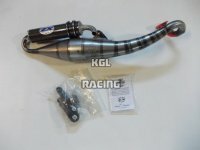 KGL Racing seeks to offer only the best to its clients. This is why we are the official dealer of numerous quality brands such as Hepco & Becker, Leovince, Ixil, HP Corse, Vance & Hines, Laser, Remus, Ixrace, Zard, Bos, Bodis, Two Brothers, GPR, Spark, STORM, Scorpion, Eagle, Takkoni, Marving, Raptor, Cobra, MIVV, EXAN, Supertrapp, SC-PROJECT, Sil Motor, Kerker, KGL Racing exhaust, FMF, Arrow, Termignoni , QD exhausts, Rinehart Racing exhaust ,S&S Cycle exhaust, ENDY exhaust and the Akrapovic exhausts. Be sure to take a look at our Blog and stay informed of the novelties and facts. You cannot find what you are looking for? Contact us freely for more info.